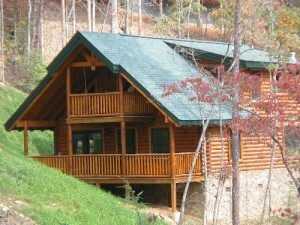 Here’s a fun and private cabin perfect for a romantic retreat or loving honeymooners. Welcome to Southern Comfort, a 1-bedroom luxury cabin with 2 full bathrooms, ample for a couple yet also sleeping up to 6 people for a fun and peaceful family vacation. Southern Comfort is located in the acclaimed Gatlinburg Falls Hidden Valley Resort on the edge of Great Smoky Mountains National Park. 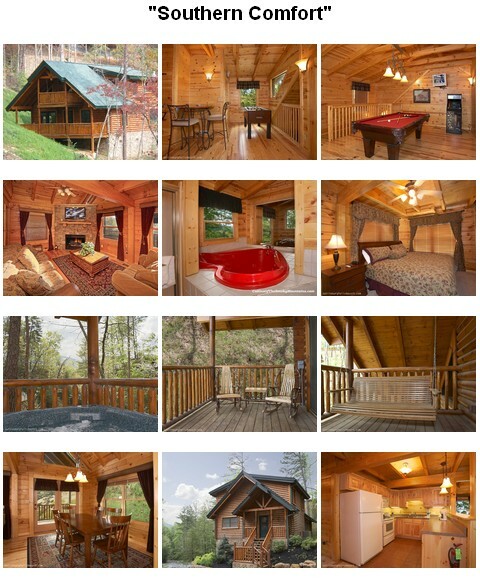 Settled in the resort’s impeccable infrastructure, yet tucked away in its own world, the cabin offers non-stop warmth, relaxation, entertainment and sheer good times. Shoot some pool on your own pool table, or play the arcade games standing close by. Step over to the foosball table for some active competition, or grab the cafe table for a breather. Working up a sweat? Shower off in one of the two vertical-jetted showers. 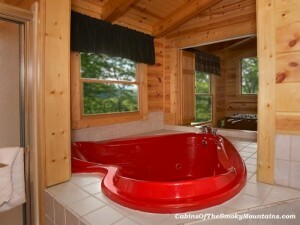 Or settle into the two-person, heart-shaped jacuzzi, and just luxuriate. 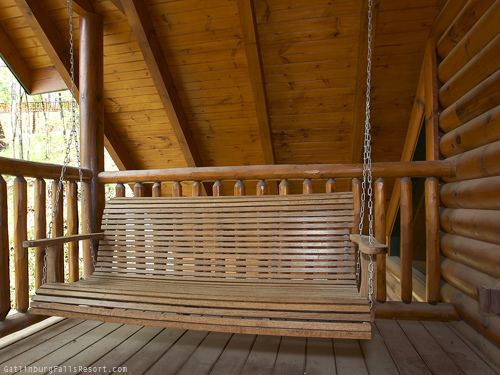 Outside the mountain beauty is all around, while you have your own quiet space with a swing on the top deck, secluded under the vaulting eaves, just you and the trees. Or get moving again, but maybe only to pull up a rocking chair, or to make it as far as the hot tub on the main deck. You might even fire up the charcoal grill and think about food. And the full kitchen indoors accompanies a delightful dining area setting by two windows. With all this activity, it’s okay to flop for a spell on an overstuffed couch and watch someone else move on one of the flat screens, with premium cable and DVD players provided, or just set some music playing. You came to get comfortable. 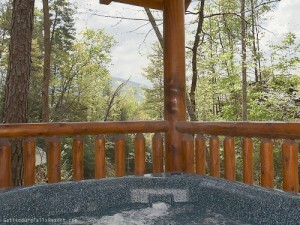 And if you can bear to take a break from nesting in your very own paradise, step outside and hop in the car – you’ll be in downtown Gatlinburg in minutes, before you know it, being dazzled by all the attractions of this unique and vibrant town. Back at the cabin, the amenities of the resort are available to you, from a swimming pool to a conference center, to a Wedding Facility if you feel the way millions of other people do here, choosing the Smoky Mountains as the special place to celebrate and seal their love. 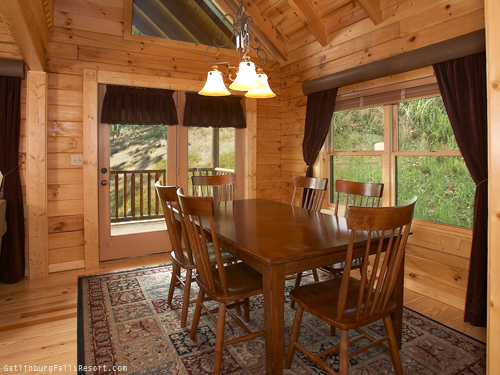 Southern Comfort in the Smoky Mountains at Gatlinburg Falls Hidden Valley Resort – a stay you’ll remember forever. Click here to check availability and book Southern Comfort for your next trip!